Biotechnology is essentially the product of interaction between the science of biology and technology. The products of biotechnology are going to have a major impact on the quality of human life, productivity, trade and economics in the world. Already biotechnology is being used in the areas of diagnosis, prevention and cure of diseases, in the production of new and cheaper biochemical products e.g. pharmaceutical drugs, in enhanced production of new food resources, in environmental protection and energy conservation. Biotechnology is as old as human civilization and has been an integral part of the human life. Many scientists use the term old or traditional biotechnology to the natural processes that have been used since many centuries to produce beer, wine, curd, cheese and many other foods. The new or modern biotechnology includes all the genetic manipulations, cell fusion techniques and the improvements made in the old biotechnological processes. The term biotechnology was introduced in 1917 by Karl Ereky, a Hungarian Engineer. He used the sugar beets as the source of food for large scale production of pigs. Ereky defined biotechnology as “all lines of work by which products are produced from raw materials with the aid of living things”. The multidisciplinary character of biotechnology makes it rather difficult to define biotechnology. However there are several definitions available. Biotechnology is defined as “the controlled use of biological agents, such as microorganisms or cellular components, for beneficial use”. (US National Science Foundation). The application of biochemistry, biology, microbiology and chemical engineering to industrial process and products and on environment. (International Union of Pure and Applied Chemistry (IUPAC), 1981). A new definition after combining all aspects of biotechnology/genetic engineering was given by Smith in 1996- The formation of new combinations of heritable material by the insertion of nucleic acid molecules produced by whatever means outside the cell, into any virus, bacterial plasmid or other vector system so as to allow their incorporation into a host organism in which they do not naturally occur but in which they are capable of continued propagation. An important aspect of all biotechnology processes is the culture of either the plant cells or animal cells or microorganisms. The cells in culture can be used for recombinant DNA technology, genetic manipulations etc. 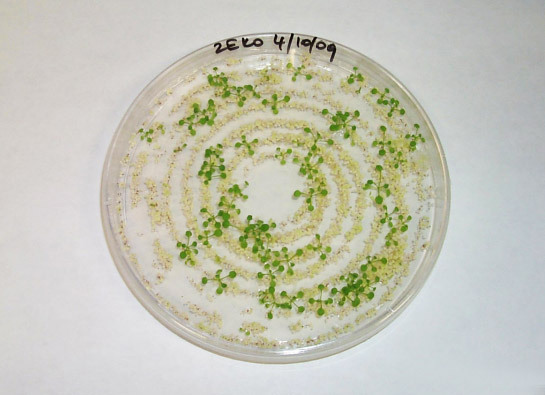 Plant cell culture is based on the unique property of the cell-totipotency. CELL-TOTIPOTENCY is the ability of the plant cell to regenerate into whole plant. This property of the plant cells has been exploited to regenerate plant cells under the laboratory conditions using artificial nutrient mediums. With the advances made in genetic engineering, it became possible to introduce foreign genes into cell and tissue culture systems. This led to the development of GENETICALLY MODIFIED (GM) OR TRANSGENIC CROPS which had improved traits and characteristics. In the early 19th century, Schleiden and Schwann proposed the concept of the 'cell theory'. In 1902, Gottlieb Haberlandt, the german botanist and regarded as the father of plant tissue culture, first attempted to cultivate the mechanically isolated plant leaf cells on a simple nutrient medium. He did not succeed in achieving the growth and differentiation of the cultured cells, however, he predicted the concept of growth hormones, the use of embryo sac fluids, the cultivation of artificial embryos from somatic cells, etc. During the period 1902 - 1930, attempts were made to culture the isolated plant organs such as roots and shoot apices (organ culture). Hanning (1904) isolated embryos of some crucifers and successfully grew on mineral salts and sugar solutions. Simon (1908) successfully regenerated a bulky callus, buds, roots from a poplar tree on the surface of medium containing IAA which proliferated cell division. Gautheret, White and Nobecourt (1934-1940) largely contributed to the developments made in plant tissue culture. White (1939) cultured tobacco tumour tissue from the hybrid Nicotiana glauca, and N. Langsdorffii. The period of 1940 - 1970s saw the development of suitable nutrient media to culture plant tissues, embryos, anthers, pollen, cells and protoplasts, and the regeneration of complete plants (in vitro morphogenesis) from cultured tissues and cells. In 1941, van Overbek and co-workers used coconut milk (embryo sac fluid) for embryo development and callus formation in Datura. Steward and Reinert (1959) first discovered somatic embryo production in vitro. Maheswari and Guha (1964) developed the anther culture for the production of haplid plants. Skoog and Miller (1957) advanced the hypothesis of organogenesis in cultured callus by varying the ratio of auxin and cytokinin in the growth medium. Muir (1953) developed a successful technique for the culture of single isolated cells wich is commonly known as paper-raft nurse technique (placing a single cell on filter paper kept on an actively growing nurse tissue). In 1952, the Pfizer Inc., New York (U.S.A) got the US patent and started producing industrially the secondary metabolites of plants. The first commercial production of a natural product shikonin by cell suspension culture was obtained. In 1980s using Genetic engineering, for the first time, it was possible to introduce foreign genes into cell and tissue culture systems to develop plants with improved characteristics (transgenic crops) which may contribute to the path towards the second green revolution. 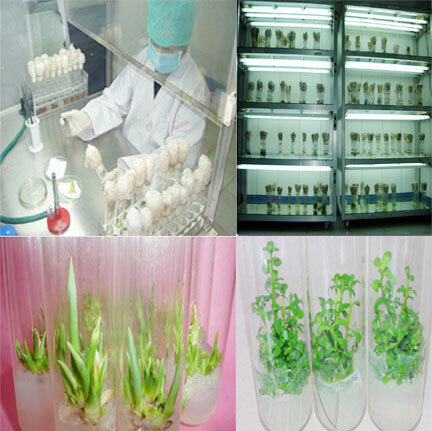 It seems that you have introduced the plant biotech from a special perspective, which really impressed me a lot. I used to think it's similar to the animal biotech, I mean their operation mechanism. I ever read Why Is the Life of Plants Far Longer Than Animals? So I was wondering the answer, any ideas?